One way to simplify your life is to eliminate the clutter by organizing your files and record-keeping. 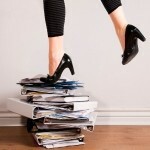 As we head into tax season, February is a good time to eliminate the clutter and get your home record-keeping in order. As you are organizing your 1099s, end of year statements and other tax documents, you should also take some time to organize your permanent home files and financial records. The key is to use a filing system that is efficient and easy to maintain. You should update your files at least once a year to determine what should be kept and what should be thrown away. Here is a summary of how long documents should be retained. With identity theft on the rise, it is important to destroy documents appropriately to maintain your privacy. You may want to read this article outlining steps you can take to protect yourself Cybercrime Update: Tips to Help Protect Your Money, Privacy, and Identity. You also should think about what documents you need in terms of estate planning and where they will be stored. Your estate planning record-keeping is not only about your basic estate planning documents such as your will or trust. You can make less stressful family members those who will be handling your estate after you’re gone by making your wishes known in writing. We don’t like to think of the dealing with a disaster but it is also important to think of home record-keeping in the context of disaster planning. If you’ve let your record-keeping get the best of you or if you need professional help, you might consider working with a good local professional organizer. So take some time to simplify your life by eliminating the clutter and organizing your files and record-keeping. This process will not only simplify your life but also prepare you for meeting with a financial planning professional. 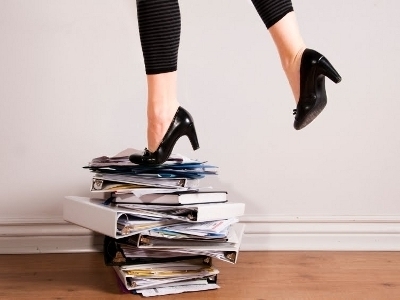 One Week-Create an efficient record-keeping system and destroy outdated paperwork. Next week, I will discuss steps 6 and 7: Meet with a financial planning professional and create your strategy. This entry was posted in Estate Planning, Financial Planning, Planning For Women, tax planning. Bookmark the permalink.